The Stopover is a Tiny Dream Homes ToGo tiny home that’s built to last! 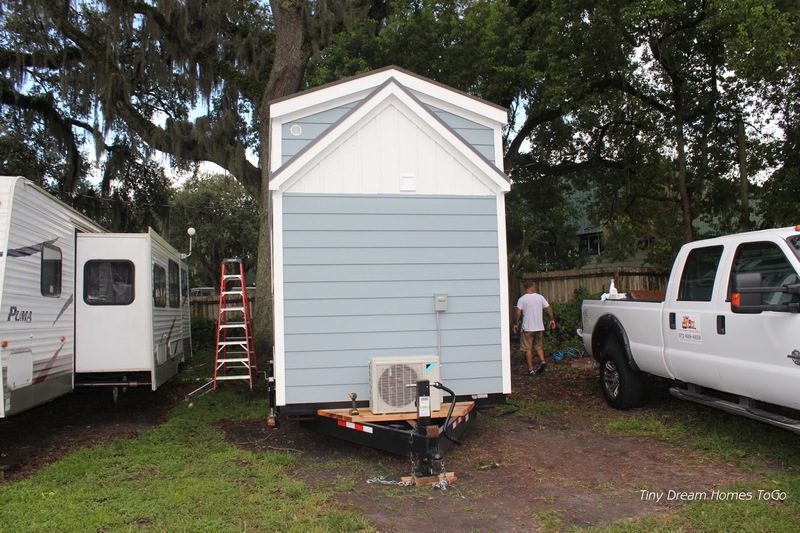 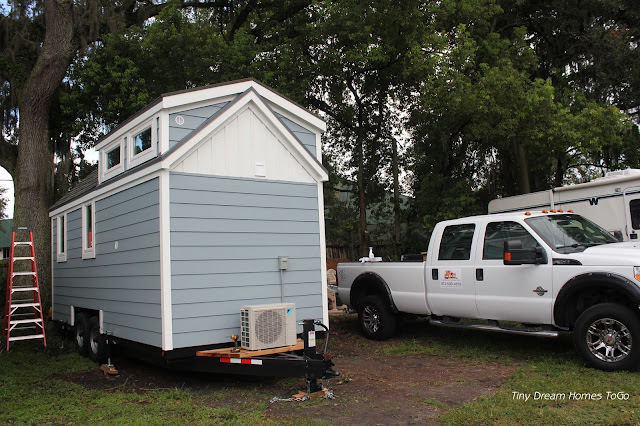 This one is a more durable version of their original Stopover model and features hurricane ties and straps, a metal hail resistant roof, and composite cellular siding and trim that comes with a lifetime warranty! 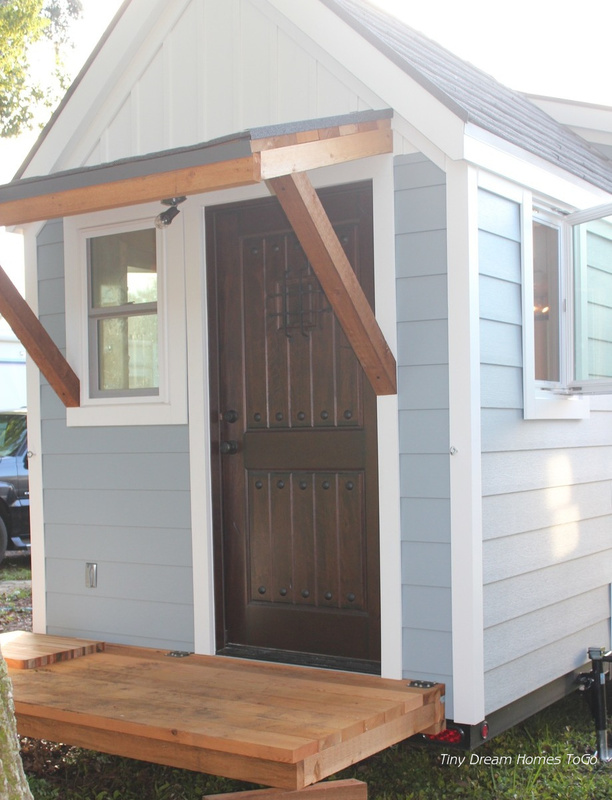 When you enter through the front door of the house, you’ll find yourself in the living room. This space has enough room to fit a couch/sleeper sofa/futon and has hookups for easy installation of your desired entertainment system. 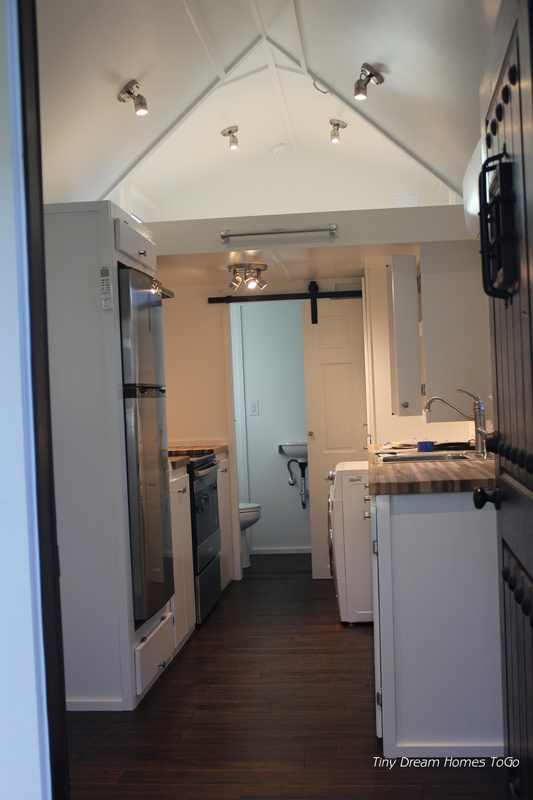 You can also access The Stopover's lofted bedroom, via ladder, from the living room. 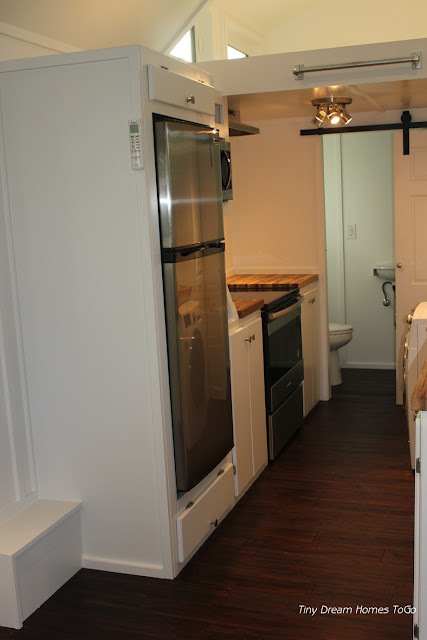 Ahead of the living room is the kitchen that features stainless steel appliances (i.e. 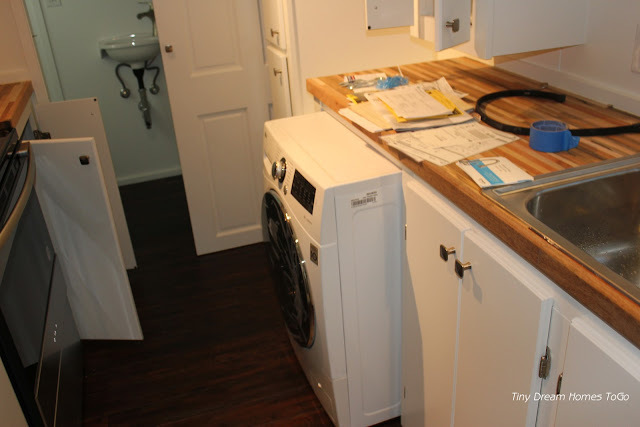 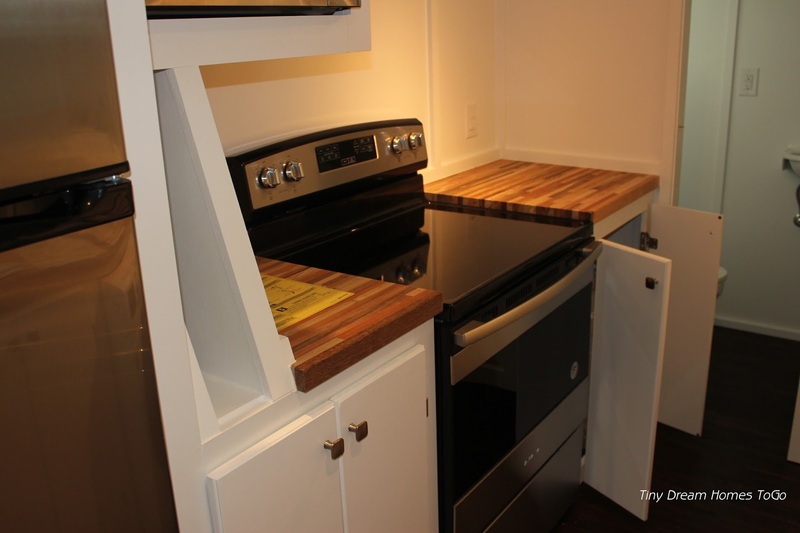 apartment sized refrigerator/freezer, 4-burner range w/oven, microwave), butcher-block countertops, white cabinetry, a stainless steel sink and a washer/dryer combo unit. 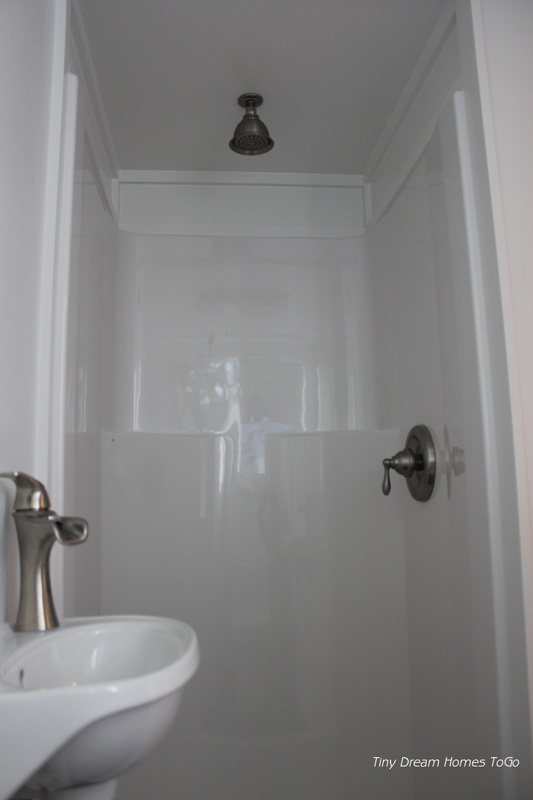 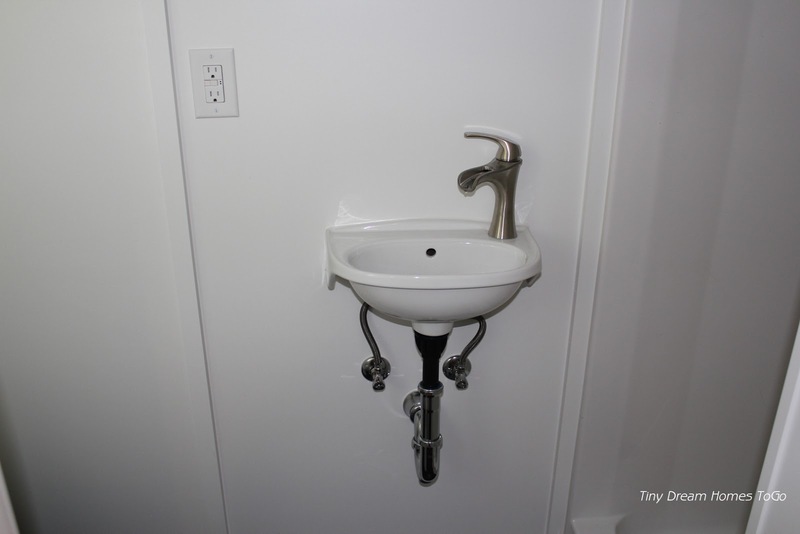 Past the kitchen is the bathroom furnished with a standard flushing toilet, white sink, and a 39” walk-in shower. 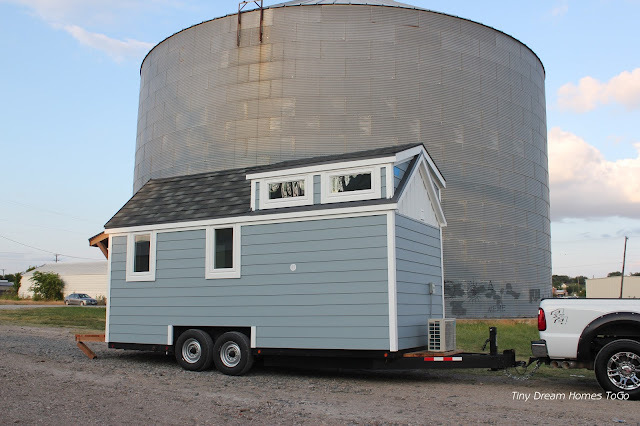 This home is a great catch for the person or family looking to move into a durable, simple and homey tiny house! 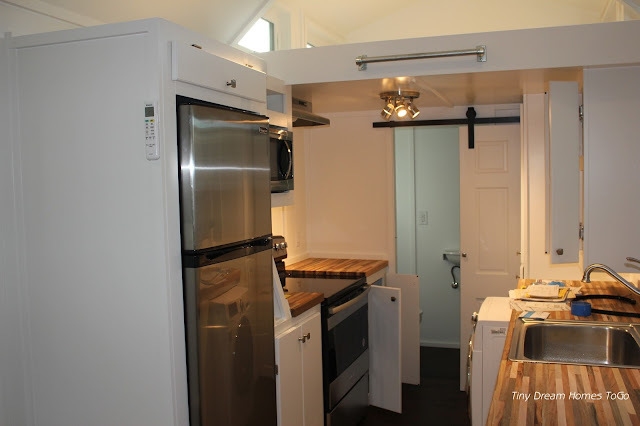 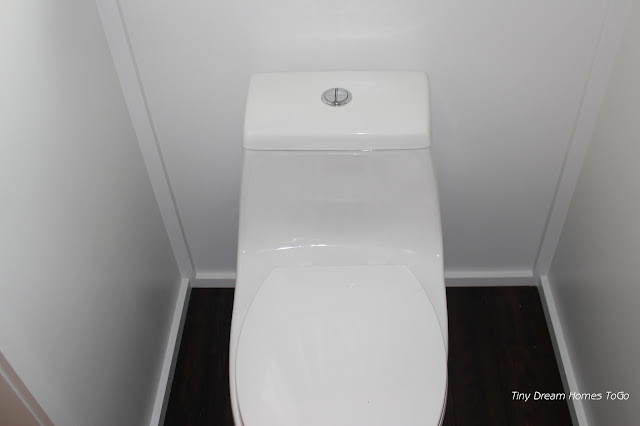 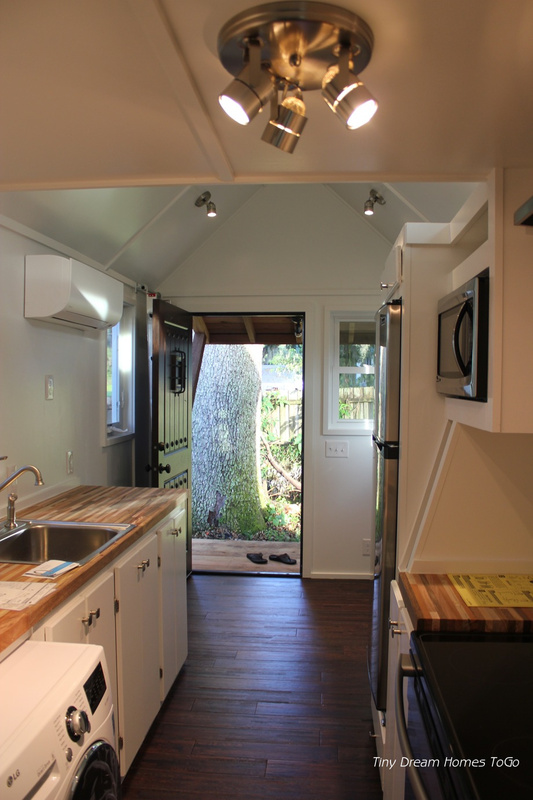 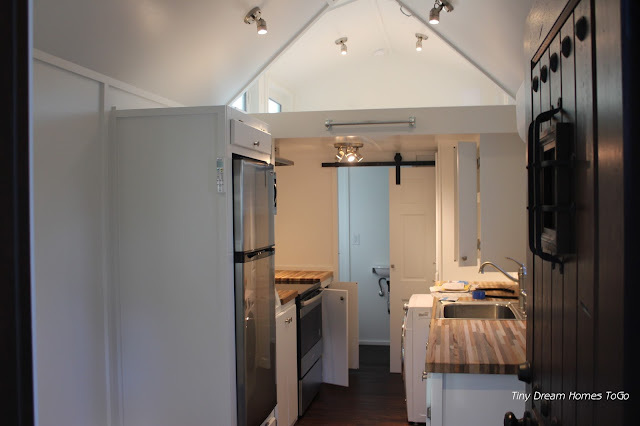 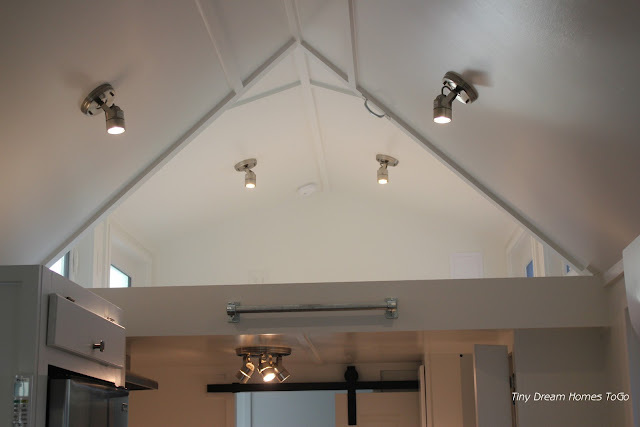 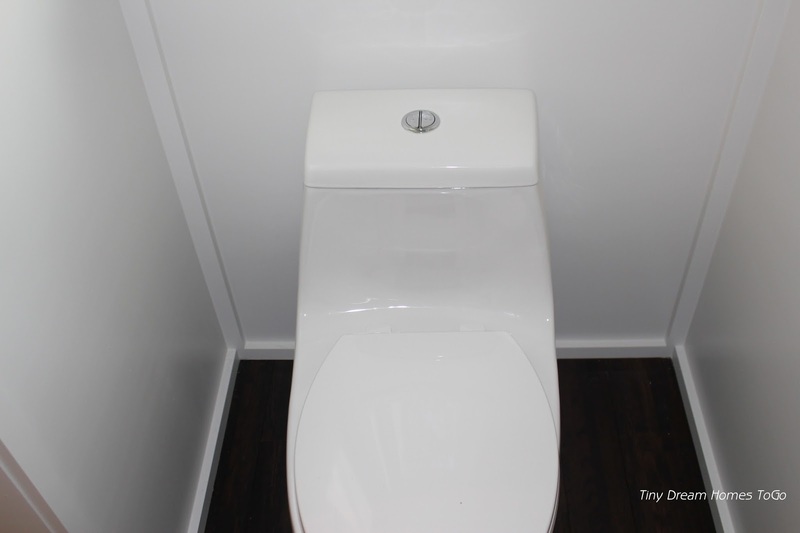 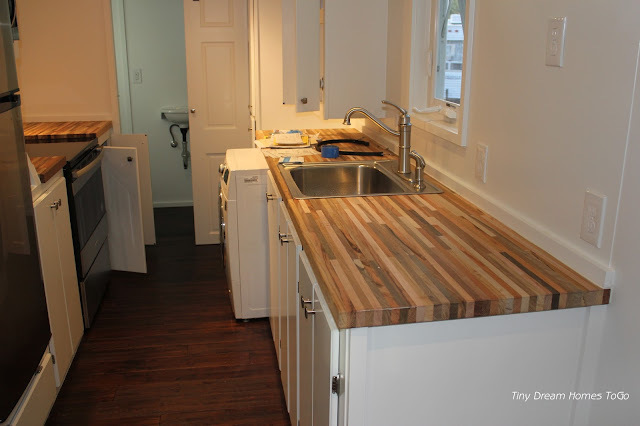 For more information on pricing, financing and other specifications, contact Tiny Dream Homes ToGo here!